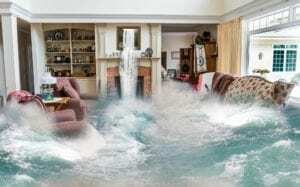 You are here: Home / How To / Do Floridians Need to Worry About Frozen Pipes? Do Floridians Need to Worry About Frozen Pipes? When you think about issues with frozen pipes, you might think about this being a problem in colder climates. 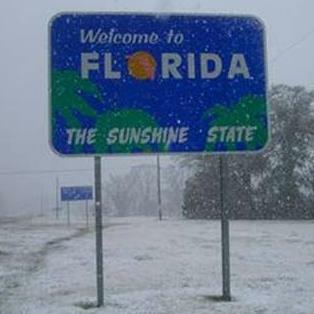 As a Floridian, you might not think that it’s something that you have to worry about during the winter. However, even though the winters in Florida are pretty mild when compared to many places in the United States, this year’s weather extremes may have you thinking twice. What Happens with Frozen Pipes? Should Floridians Worry About Frozen Pipes? Even though you probably want to prevent the issues that can go along with frozen pipes, you might not think that you need to do anything to protect your pipes if you live in the Sunshine State. However, temperatures can still occasionally drop to near or below freezing in Florida, particularly at night during cold periods like the first weeks of January 2018. 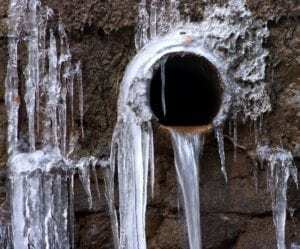 Even though this might only happen a couple of nights out of the winter season, this can still provide an opportunity for your pipes to freeze and flood your lower floors. Therefore, it’s not a bad idea to go ahead and protect your pipes now so that you can prevent problems later. If you would like to go ahead and take extra precautions against frozen pipes this winter, you should know that doing so is pretty easy. You can insulate your pipes by wrapping them with pipe wrap insulation or tubular sleeve insulation. You should be able to pick up the materials that you need from a local hardware store or home improvement store and do it yourself over a weekend. If you’re already experiencing flooding due to frozen pipes or other weather problems, shut off your main line (and breaker, if the water is high enough), remove as much water as you can as fast as you can, and try to protect your walls. If your walls are damaged, you can replace the sheetrock and get a professional to match your paint. As you can see, even if you live in Florida, it’s worth it to think about the possibility of your pipes freezing. Luckily, doing so is easier than you might think, so you should be able to get the job done and protect your pipes quickly and easily. https://welovepainting.com/wp-content/uploads/2018/02/does-it-snow-in-florida.jpg 314 314 blog https://welovepainting.com/wp-content/uploads/2014/12/logo.png blog2018-02-05 11:46:192019-03-29 13:27:42Do Floridians Need to Worry About Frozen Pipes?